Marc Chagall was the oldest in a family of nine children. He grew up in a modest family, in a shtetl in Belarus, surrounded by religious traditions and culture. From 1906, he studied painting in his hometown at Yehuda Pen’s studio. The latter was a Jewish painter who taught him the fundamentals of art. In 1907, he left for Saint Petersburg and enrolled in the Imperial School for the Encouragement of the Arts, which he left in 1908. Chagall met Vinaver, an influential patron and member of the Duma. Around the end of that year, in Saint Petersburg, Chagall joined the avant-garde and liberal-oriented Zvantseva School run by Léon Bakst. In 1909, he met Bella Rosenfeld, the youngest in a family of jewelers and a student in Moscow. A deep and passionate love immediately sprang up between them. In Saint Petersburg, a number of art lovers started to take an interest in his work. Thanks to the support of his patron Vinaver, Chagall arrived in Paris in 1911 and settled at La Ruche, where Jean-Paul Laurens, Alexander Archipenko, Fernand Léger, and Modigliani were already living. He also met Max Jacob, André Salmon, and Guillaume Apollinaire, and became good friends with Blaise Cendrars. He attended the Académie La Palette and the Académie de la Grande Chaumiere and exhibited his work for the first time in 1912 at the Salon des Indépendants. In 1912, through an invitation from sculptor Moise Kogan and painters Robert Delaunay and Henri Le Fauconnier, he met Herwarth Walden. The latter ran Der Sturm Gallery and organized his first solo exhibition in Berlin in 1914. In 1913, Chagall participated in the Salon des Indépendants in Amsterdam. In 1914, he visited his family and fiancée in Vitebsk, and was unable to return to France because of the war. In 1915, he married Bella who he had never stopped loving. Their daughter Ida was born a year later. In November 1916, he presented fortyfive artworks to Jack of Diamonds, an association of painters created in Moscow in fall 1910. 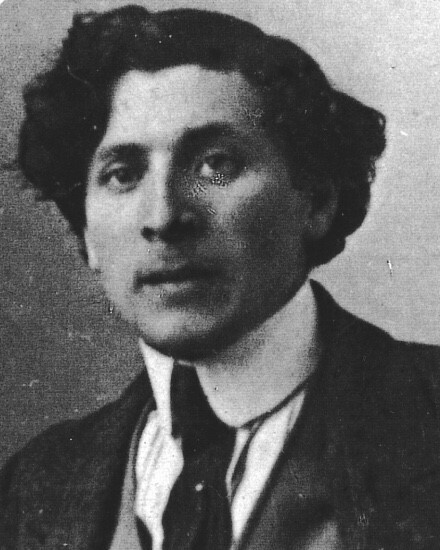 Following the October Revolution in 1917, Chagall was appointed Commissioner of Fine Arts in Vitebsk by the Russian Minister of Culture and Arts, Lounatcharsky, whom he had met in Paris. Chagall then dreamed of turning his hometown into an arts center. He later ran the new Art Academy in Vitebsk, inaugurated on January 28, 1919, where El Lissitzky, Vladimir Tatlin, Jean Pougny, Anton Pevsner and his brother Naum Gabo, and the creator of Suprematism Kazimir Malevich taught classes. Due to political disagreement with Malevich, he was relieved of his duties. In 1920, Chagall left Vitebsk for good and moved to Moscow where he met Alexey Granovsky, the manager of the Jewish theater Kamerny, for which he designed theater sets. In My Life, Chagall wrote: “I thought, here’s an opportunity to shake up the old Jewish theater, its psychological naturalism, its false beards. There, on the walls at least, I can let myself go and freely show everything I think necessary to the rebirth of the national theater.” In 1921, Chagall lived in Moscow with his family and taught drawing to war orphans. During the summer of 1922, he left Russia and started to write his autobiography My Life, which was published in 1931 in France. 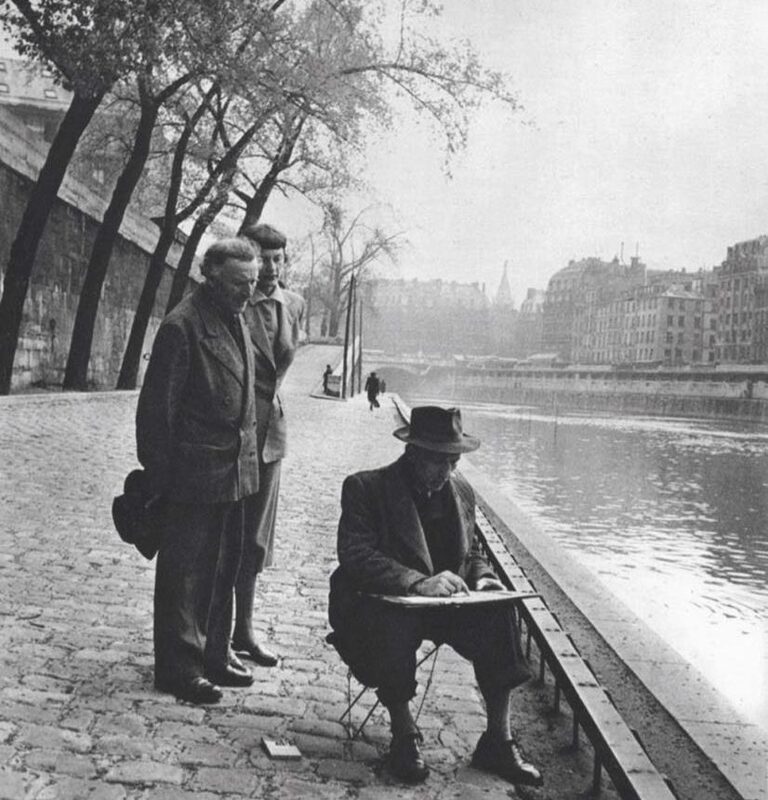 In 1923, he returned to Paris via Berlin where he learned engraving techniques and tried in vain to get back the paintings, which he had entrusted to J.P. Walden. In Montmartre Vivant (Living Montmartre), Crespelle wrote: “After he took care of his busi-ness in Berlin, he couldn’t wait to get back to Paris and Montparnasse. In each of his letters, Cendrars wrote to him: ‘you are famous, Vollard is waiting for you.’ ” In Paris with Bella and Ida, Chagall returned to his studio at La Ruche, but the paintings he had left there before leaving had disappeared. Over 150 paintings were sold while he was absent. He visited Brittany with Sonia and Robert Delaunay, the French Riviera, and the Auvergne. In 1926, the art dealer Ambroise Vollard asked him to illustrate Dead Souls by Gogol, La Fontaine’s Fables, and the Bible, which enabled him to travel to Palestine in 1931. In 1933, a major retrospective of his work took place in Basel. Chagall traveled to Holland in 1932, Spain in 1934, Poland in 1935, and Italy in 1937. In 1973, he adopted French nationality. That same year, four of his paintings were exhibited at the “Degenerate Art” exhibition in Munich. When World War II broke out, Chagall and his family took refuge in Blois before meeting André Lhote in Gordes in Provence. During a visit to Marseille, he was arrested in a roundup before being released on the United States Consul’s orders. Aware of the potential danger and thanks to Varian Fry’s intervention, he left France for New York via Spain on May 7, 1941. Varian Fry was an American citizen whose mission was to save intellectuals and artists threatened by the Nazis. Although Varian Fry acted alone, having no means or support, for thirteen months he helped 4,000 people and saved close to 2,000, among them Max Ernst, André Breton, André Masson, and Marc Chagall. The epilogue of Fry’s book Surrender on Demand states: “So as to illustrate the application of these laws, Fry told the story of his most famous Jewish ‘client,’ the artist Marc Chagall, who was arrested at the end of the spring of 1941. Fry knew Chagall was not arrested because the authorities believed he was a great painter whose art was considered ‘degenerate,’ but because he was Jewish.” In 1941, in New York, he exhibited at the Pierre Matisse Gallery, and traveled to Mexico. He came across the Ballets Russes again and designed costumes and sets for Massine for a ballet in New York. On September 2, 1944, Bella died. The two following years were difficult. 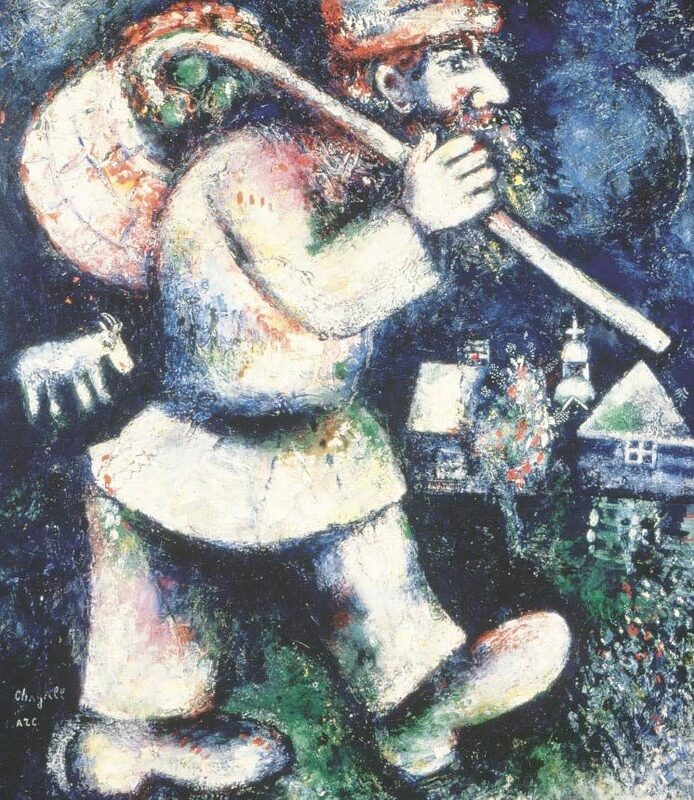 Chagall settled alone in a small farm a few hours from New York. Although finding it difficult, he returned to his work. In 1945, following Balanchine’s request, he designed the sets and costumes for The Firebird at the New York Opera House. In 1946, he went back to Paris for a few months. He attended the first retrospective of his work at the National Museum of Modern Art in Paris in 1947 and immediately left for New York. In 1948, he returned to France for good and found his studio wrecked. In 1952, he married Valentine Brodzky and moved to the south of France. He was commissioned to produce public works, notably the mural decoration of the Knesset in Jerusalem, the ceiling of the Palais Garnier opera house in Paris (1963), the mural painting of the Metropolitan Opera House in New York, stained-glass windows in the cathedrals in Metz and Reims and in the synagogue of the Hadassah hospital in Jerusalem. In 1970, a retrospective of his work took place at the Grand Palais in Paris. In 1973, following the inauguration of the National Museum Marc Chagall Biblical Message in Nice, he received increased recognition. Chagall died at the age of ninety- seven in Saint-Paul-de-Vence.